Previous work in our laboratory showed that levels of oxidized proteins and/or lipids increase in heart ventricles of icefishes but not red-blooded notothenioids in response to exposure to their critical thermal maxima (CTMax). 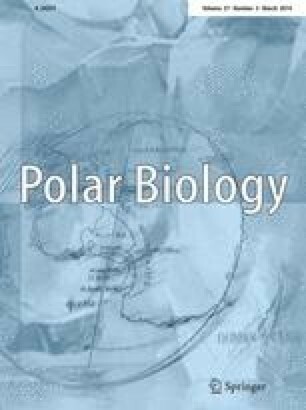 However, neither icefishes nor red-blooded fishes up-regulate their antioxidant defenses in response to exposure to CTMax, suggesting notothenioids may have lost the ability to alter antioxidant levels in response to stress during their evolution at cold temperature. Alternatively, exposure to CTMax may have been too short a thermal stress to induce increases in antioxidant levels. To address this question, the icefish Chionodraco rastrospinosus and the red-blooded notothenioid Notothenia coriiceps were maintained at either 0 ºC or 4 °C for 1 week. Levels of oxidized proteins and lipids, as well as transcript abundance and maximal activity of the antioxidants superoxide dismutase and catalase, were quantified in heart ventricle and pectoral adductor muscle. Although previous studies showed that the production of reactive oxygen species increases in response to warming in notothenioids, neither levels of oxidized proteins, lipids nor antioxidant activity increased in any tissue of either species in response to exposure to 4 °C. This suggests that notothenioids do not incur oxidative damage during prolonged, moderate warming. We are grateful for the outstanding support from the Crew and Masters of the ARSV Laurence M. Gould and the Raytheon support staff at Palmer Station Antarctica. This research was supported by a Grant from the National Science Foundation (ANT 0741301) to K. OB. I. M. was supported in part by a University of Alaska Fairbanks (UAF) Center for Global Change Student Research Grant. K.D. was supported in part by a UAF Undergraduate Research and Mentorship Award from N.S.F.